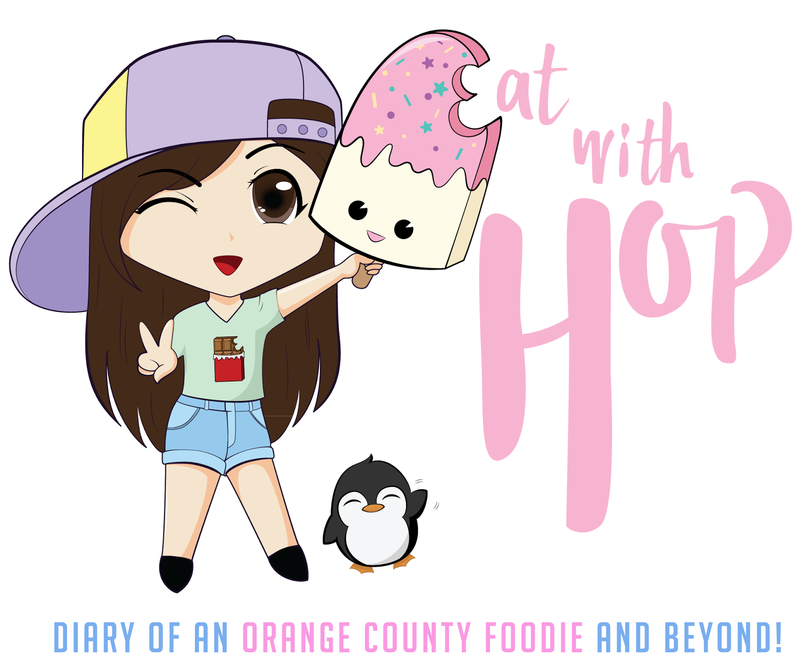 Sushi Donuts Have Now Arrived In Orange County @ Project Poke - Fountain Valley - EAT WITH HOP! 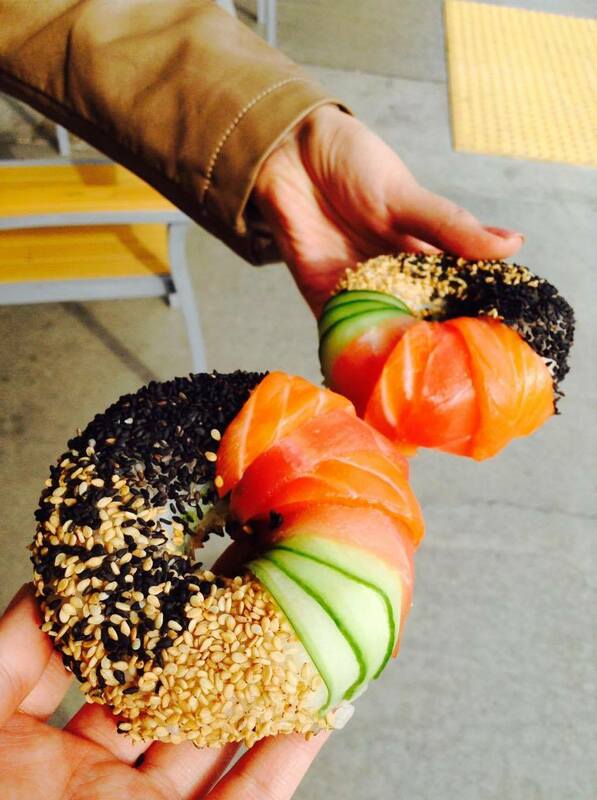 The Sushi donut is a IG Masterpiece. It's so cute and aesthetically pleasing and you can eat it with your hands! It stays pretty intact! There is inside filling as well. You can choose from avocado, spicy tuna or imitation crab meat! So the new hype is here! 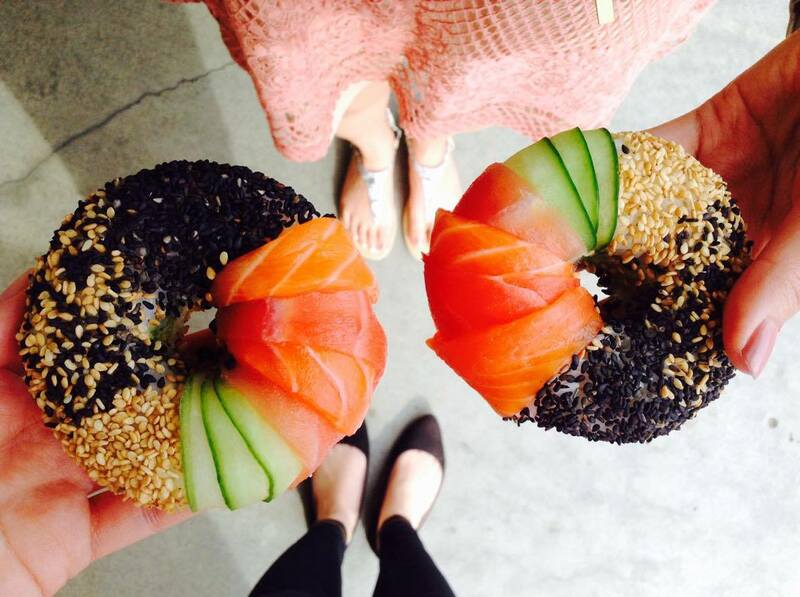 Project Poke just unveiled the SUSHI DONUT on Friday and it has created a lot of hype already! Don't worry, I'm here to answer all those questions! I got to try this a few days ago and was pleasantly surprised! I like how it's light and healthy tasting and actually I could eat it with my hands. Like a donut! (Although traditionally, sushi is meant to be finger food anyway). If you are a sushi lover, you'd probably be quite disappointed that this only has 4 small thinly sliced pieces of fish on one side. I would suggest you move these fish pieces yourself to cover more of the donut if you want more fish in every bite. But actually, it's not enough fish to cover the entire donut anyway. So overall, you don't get a lot of fish at all. To me, this is more like RICE with some fish, because the rice proportion is far greater than the fish. Put it in a bowl and you've got yourself a sushi donburi (rice bowl with fish on top). If you are a donut lover, then you'd also be disappointed that there is nothing donut like about this concept aside from the shape. Actually, you might be glad about that because fish and rice might taste a bit strange with dough / bread... ?! Maybe. If you are a lover of the next hype / gimmicky food, you'll love this. 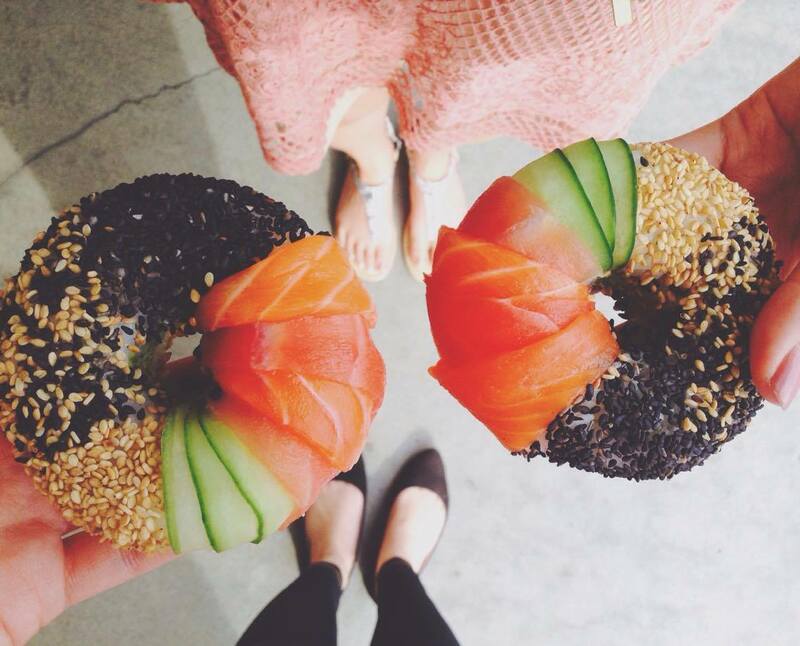 I, too, think it's pretty cool to have a "sushi donut" and it's worth the while to get it just once. Maybe more if you really like it but for me, it's all for the photo. I am a huuuuuuuge huge huuuuuge sushi fan and actually don't like eating "American rolls" that much but prefer to eat Nigiri Sushi! This Sushi Donut remind me of a California Roll. Anyway, this is worth it to do it for the gram. It's definitely something I consider to be more of a "fair" or "festival" or "night market" food concept but conveniently located at Project Poke Co. in Fountain Valley so you could get it anytime! It's also fun to be able to say, "I ate a sushi donut." Taste wise? It's a looooooooooooot of rice compared to fish. And I personally do not like eating rice (who else?). Maybe they will have some options in the future to add more fish? Maybe?? It is delicious though not gonna lie! Mine had avocado inside and it was very refreshing to eat. The sesame seeds added a nice crunch! Mine luckily stayed intact for the most part but you should be cautious when eating this because some rice or filling might fall apart! spend a bit more money to get a sushi burrito or poke bowl instead from Project Poke. There will be more fish! Each sushi donut is priced at $4.50. What do you think? Would you try this?